Recently the Lay Witness Steering Group has said a very regretful 'goodbye' to Heather Boland. Heather has retired from the steering group after about 40 years of faithful and enthusiastic service in the movement. All of us who have served on teams alongside Heather over the years can testify to her wise and inspiring leadership. She will be greatly missed! 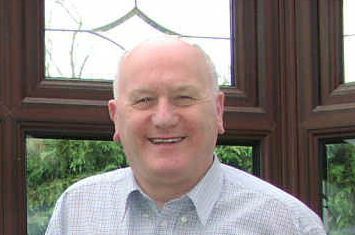 We are delighted to welcome onto the team Bruce Mullen from Dundrum Methodist Church in Dublin. Bruce has a wealth of experience in many aspects of church life and mission, and we are delighted that he is joining us. The rumour grapevine is alive and well and the small detail concerning the probability of new LWM Weekends being planned for 2017 has been overheard in certain circles. - Watch this space for further information. Eat your heart out Julian Assange! ​We send our love to Elsie, his beloved wife of over fifty years, to his sons Malcolm and Derek and to all the family circle. “If our fellowship below in Jesus be so sweet, what heights of rapture shall we know when round His throne we meet”. At Lay Witness we are excited and proud to be launching our new Website and a new logo. The new logo is a revamp of our original one which was designed by Shirley Doran when the Movement first came to Ireland. Hopefully you will begin to see it being displayed on our new lapel pins and zoodies all over the place. ​We still retain the words of Acts 1:8 as our motto “You shall receive power when the Holy Spirit comes on you and you shall be my witnesses…”. ​Don’t forget to check out our Facebook page to keep right up to date with input and news from all our members. ​Pray too for the new steering group of Tom, Phill, Shirley, Laura and Heather and don’t hesitate to get in touch if we can help you or your church in any way.